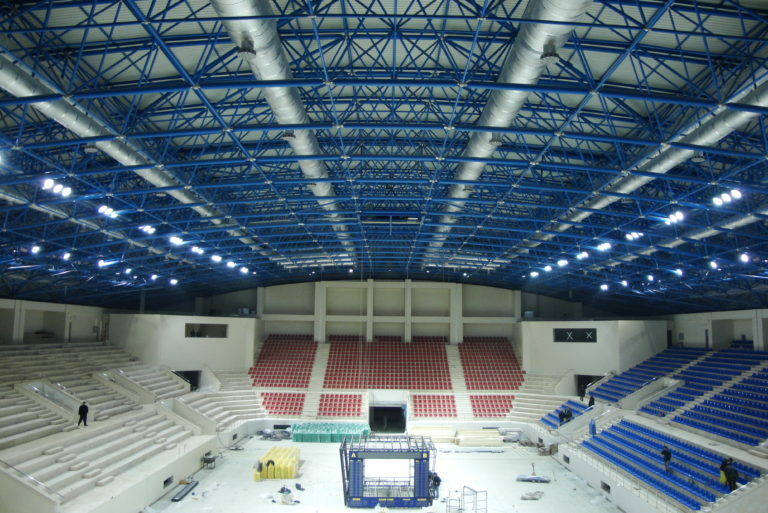 WHAT IS SPACE FRAME STRUCTURE? First known studies of Space Frame Roof Systems were made by Alexander Graham Bell between 1898 and 1908 to compose hulls of some air and naval vehicles. Bell had sought to the lightest and strongest structures with tetrahedral geometry with these constructions. For more than a 100 years, many engineers worked on the details of the similar structures, and many different types of structures survived to this day. One of the most important of them, The MERO system developed by Dr. Ing. Max. Mengeringhousen in 1943, had high quality steel spheres with full body as knot members. Additionally, many construction systems and knot details were developed and applied by the engineers. 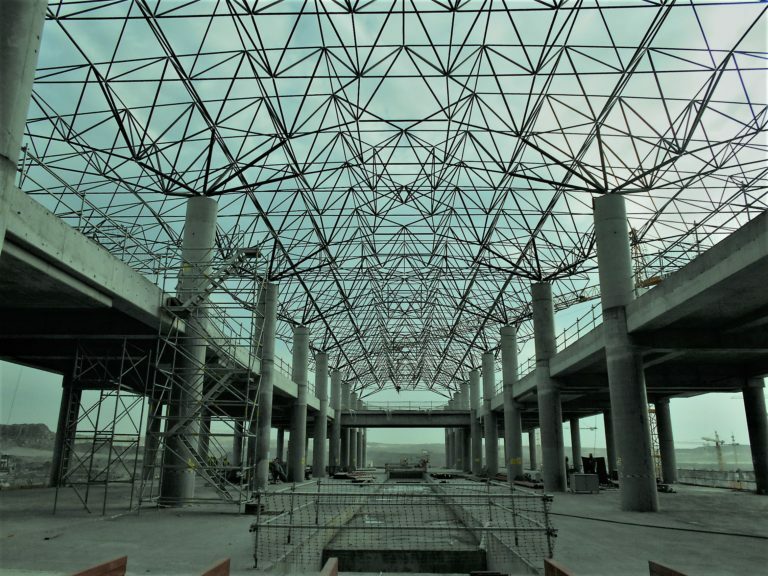 Space frame structure systems are optimum constructions composed with bar parts and knot components. With the principle of joining all the rod parts at the nodes, the moments are reset at the nodes and accordingly the calculations are made with the assumption that the rod parts forming the structure only work against the tensile force and pressure. As a result of these calculations, highly optimized and very light and strong roof constructions can be designed. 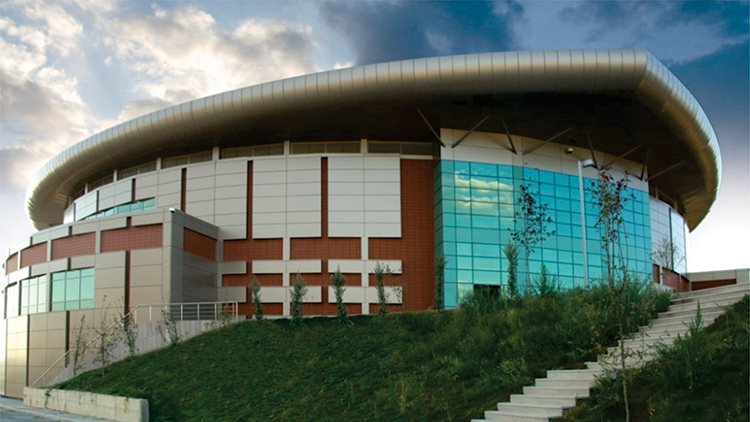 Space Frame Structures add following significant advantages to the projects. 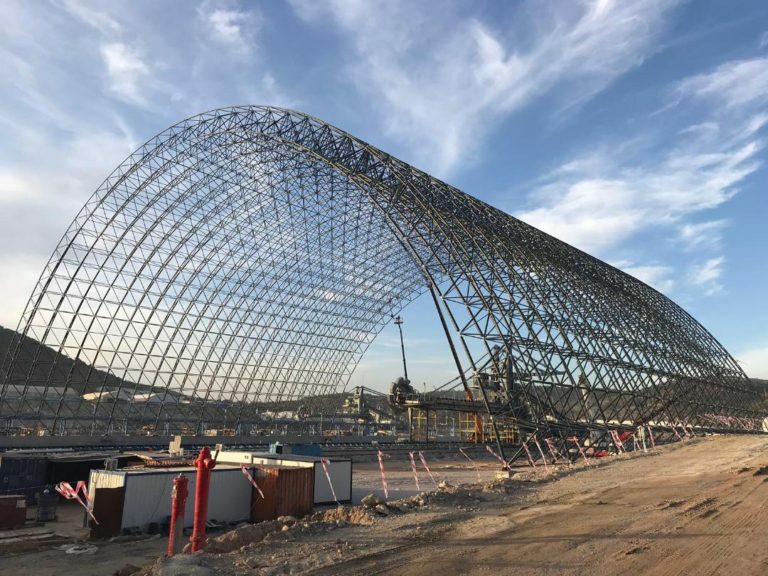 Space Frame Structures can fully provide hyperstatic and three dimensional load distribution. With this feature, it is the lightest and cheapest roofing alternative. Since it transmits less and more balanced loads to the bearer structure due to its light weight and 3-dimensional load distribution feature, substructure and bearing structure can be designed more economically. Reliable and extremely fast manufacturing is based on industrial and digitally controlled production technologies. Its installation is quick and easy. Service loads to be applied to the roof can be exercised with simple details. POLARKON does its own architectural and static designs of constructions in the projects it undertakes with the in-house Architectural Design and Structural Design offices. In these projects, POLARKON sees cooperation and coordination needed to complete the work as being critical to the successful completion of the project. For this reason, as with all the other phases of the project, cooperating with other project groups at the design phase is taken as POLARKON’s duty. The final projects would be submitted to the client firm and/or project owner for approval. Following the architectural suitability and static approvals, manufacturing drawings would be prepared and manufacturing processes would be started. 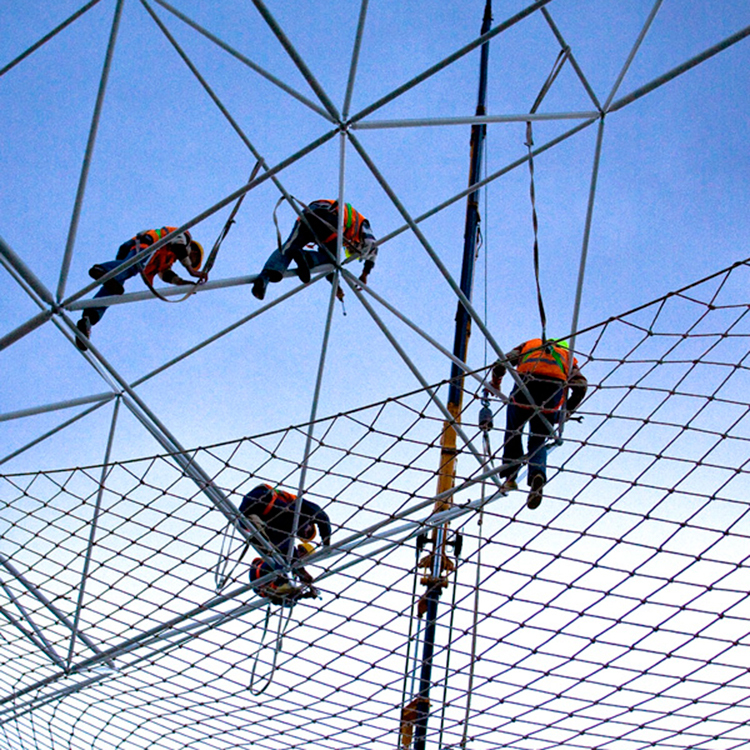 POLARKON manufactures all components of their space frame roof structures at their own facilities, mostly with computer-assisted production technologies and using self-developed quality control procedures. The welding operations of the rod parts of space frames are carried out in fully automated and computer supported welding machines which automatically adjust the length and welding settings. Data about the manufacturing the parts to be welded on the workbenches are sent automatically from the central computer and axle specifications are set up with digital control. In this way, products are processed without errors and with almost 100% reliability. Spheres are completely processed on digitally controlled, computer-assisted workbenches, untouched.The data formatted in the files created by the structural analysis software are sent to the processing center over computers. In the end, the most sensitive parts of space frames, the spheres, are processed without errors. Intermediate components to be used in space frame manufacturing are also produced by CNC machines in POLARKON’s own workbenches with machining method. Supportss, purlin profiles, purlin bays, etc. are designed by POLARKON technical staff and manufactured according to their project. All painting and coating work of the components are completed at POLARKON’s own manufacturing facilities. Rod parts, horizontal beams and their profiles cover with polyester based powder paint on digital robot controlled electrostatic powder coating plants after the cleaning is done according to the technical specifications. POLARKON has carried out all its production in accordance with national and international quality standards and has designed and set up an ISO quality management system suitable for manufacturing space frame systems with the aim of creating an effective control system at every phrase of the work. This system consists of instructions and procedures that describe all the operations starting from the project phase to purchasing, material supply, storage, manufacturing, testing, shipping, installation and post-installation inspection. POLARKON quality control supervisor and responsible staff consistently and regularly serve to supervise and improve the whole system. At the manufacturing phase, all intermediate inspections are carried out by quality control staff and each process is recorded. In addition to physical inspections and measurement controls, mechanical impact and non-impact tests are performed periodically. Electrostatic powder coating and metal coating processes are inspected by measuring the coating thicknesses afterwards with digital measuring instruments, mechanical holding tests for each drying process are held and recorded regularly. As the result, every project carried out by POLARKON is made with a production code and all the tests and monitoring that follow are recorded regularly within the framework of the quality control plan. All of the installation process of the space frame systems at POLARKON is made according to the installation plan made beforehand with the preliminary examinations done at the installation area. The POLARKON installation staff prepares an installation project for each job, taking all the elements into account, including the environmental conditions of the area, the conditions of the region, the suitability of the installation team, the installation processes and the static requirements, etc. and the applications are planned and done according to this project. Daily activities are recorded in detail in the Daily Activity Report (GFR) and shared with the center. In this way, the project can also be followed from the center. 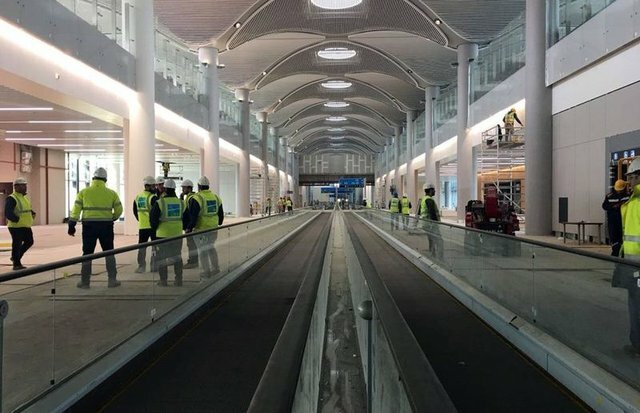 At the end of the installation and during the installation phases deemed appropriate by the head office; physical inspections, measurements and post-installation inspections are carried out and reported by POLARKON technical staff to determine whether the work is completed as it was designed into the project.